What Am I? 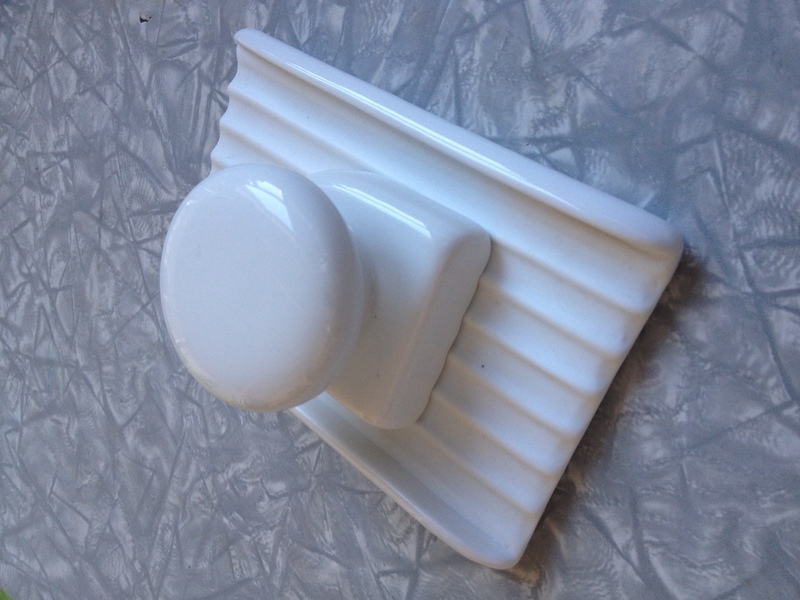 Need Help Identifying Mystery Kitchen Tool! My friend Johanne (of fashioninmotion fame— would add fortune but not sure if fortune has happened yet) emailed me with this photo. 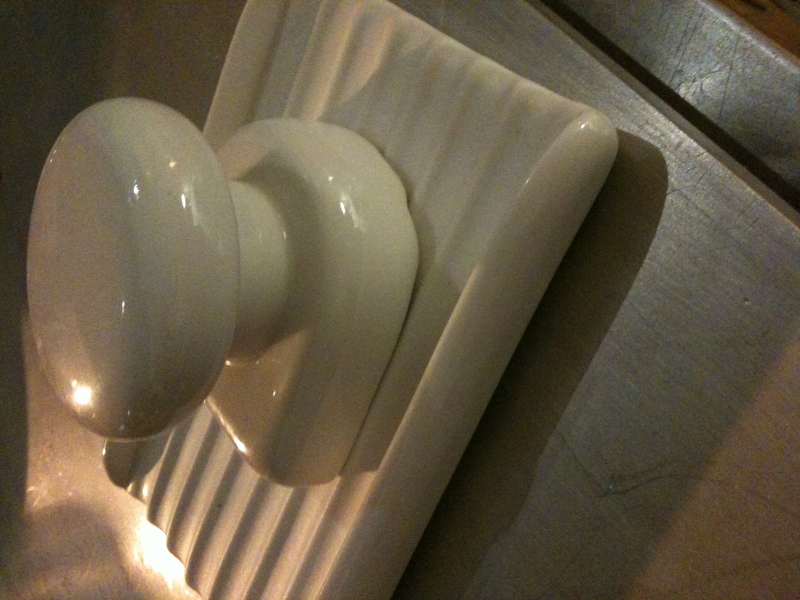 This ceramic beauty was abandoned with some great plates in a box behind a now defunct Leslieville kitchen store. It now has a home but no identity. So I ask for your help–do you know what this is? Please pass on, or PIN on Pinterest and together we can Nancy Drew ourselves out of this mystery. 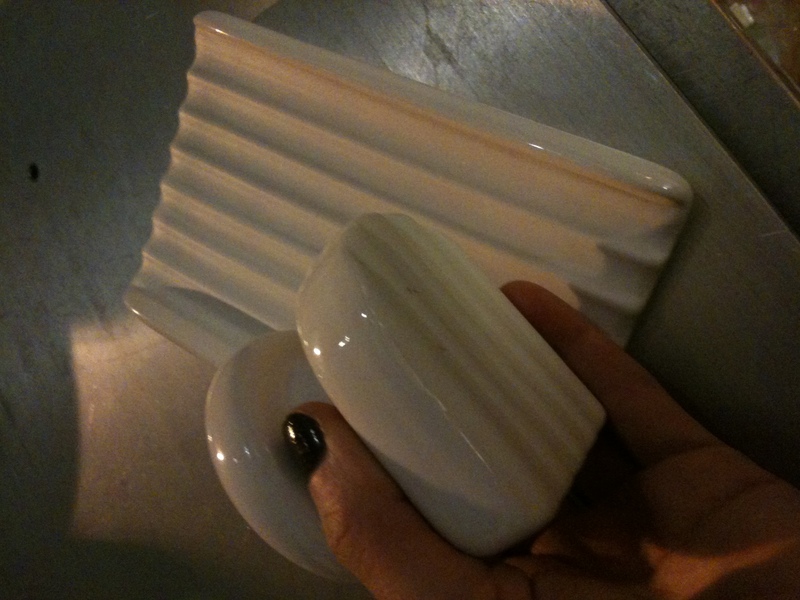 It’s two pieces btw, and Johanne says it makes the most awful screeching sound of ceramic on ceramic when you move the top piece along the shaped ridges, quite horrific, so the idea that maybe it is used for grinding spices/pesto/herbs makes Johanne shudder. I don’t know why the pictures are uploading crooked and it is 4 am so I am just not worrying about it. This is over $20 bucks worth of something useful. Potentially. Any and all guesses are welcome! aahhh, so the instinct was right. crush and mash. I had never seen one of these. Thanks for the feedback. Looks similar to a wooden tool I have that is used for working the washing water out of home-made butter. Spice paste! How cool. It looks glossy and awesome. I want one. Paula if you want it, it’s yours! Maybe Sue can hook us up over email so that we can do an exchange- looking forward to meeting you. Maybe we could get together over a cortado all three of us? 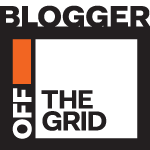 An impromptu blogger meet would be so fun! Wowzers! Thanks for all the feedback, folks. We figured it’s for crushing but it makes the most awful sound when rubbing dry, so we thought that that just couldn’t be. A spice paste maker……. Fascinating. Paula, I’ll find out from my boyfriend if he wants to give it away to a good home :). Thanks again Sue for posting this! P.S. I knew you’d appreciate the mani. 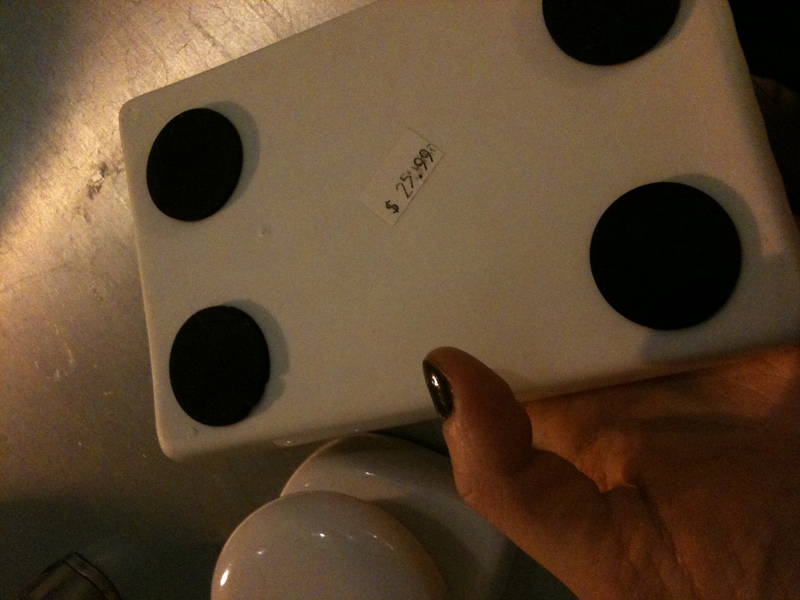 I had it done last week- scored a freebie nail & makeup combo at the Chanel counter on Friday after work. Obviously these pics are all staged- I quite like the gloss on them nails. it’s a tiny washboard for really small socks. but in my house it could also be used to indent gnocchi. Haha- so I’m assuming you wash the socks *after* indenting the gnocchi-? I’m always looking for something else to do after I indent gnocchi. Sock washing, that work is never done. Just wondering if there’s still any interest out there for this thing.. we’re thinking of dropping it off at our local Value Village. Any takers? Last call! That makes me sad, yet, I don’t really know what to do with it either—and I realized that my wonderful friend Paula who might take it–never mentioned (nor did I) that she lives in California. At least you can label it for Value Village!